The music lover. 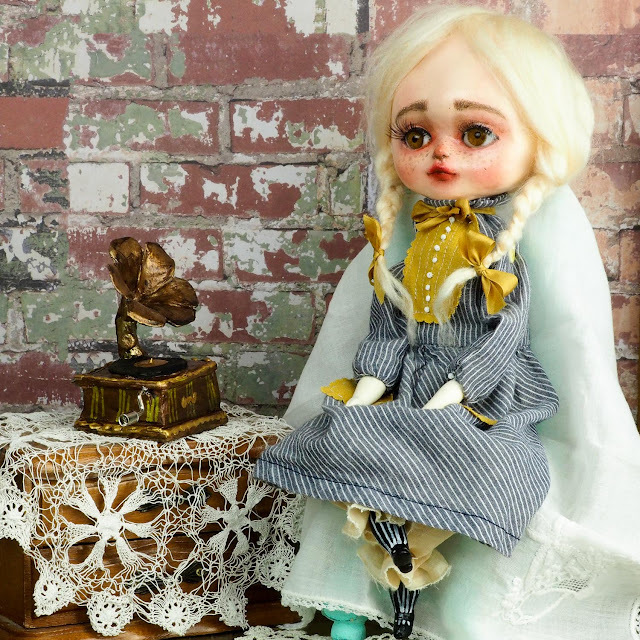 A beautiful handmade art doll by Danita. She has a very sweet spot for vintage vinyl records and her ancient gramophone.